Interested in doing a PhD or a Masters by research? If you are interested in any of these areas, please see our “Positions” page for details on how to apply. Long-standing collaborators, Prof Olli Ikkala and Dr Nikolay Houbenov from the Molecular Materials Group at Aalto University (Helsinki, Finland), visited the FRG on Thursday and Friday. 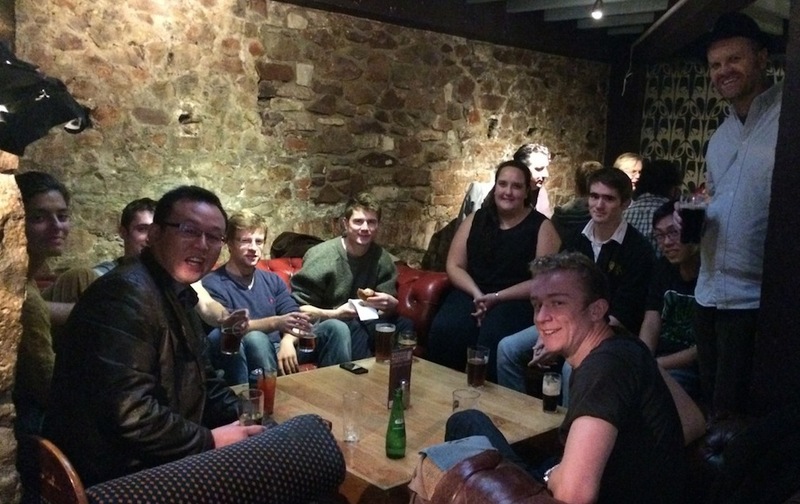 In order to welcome them, and all the new arrivals in the Faul and Hall groups, we went to the White Bear! Olli ended his visit on Friday afternoon with a stimulating presentation in the Centre for NSQI.